"The biggest iOS release in history." Of late, Apple has been somewhat running out of steam with innovation. Last year, Apple made a big splash with 3D Touch, the dual-pressure touch introduced on its iPhones, and later, on MacBook trackpads. This year, Apple’s going for refining the rough edges and making its massively popular mobile operating system smarter and more intuitive. The changes that Apple is presenting with iOS 10 are not revolutionary, but are functional, noticeable upgrades designed to make your life easier and more involved. 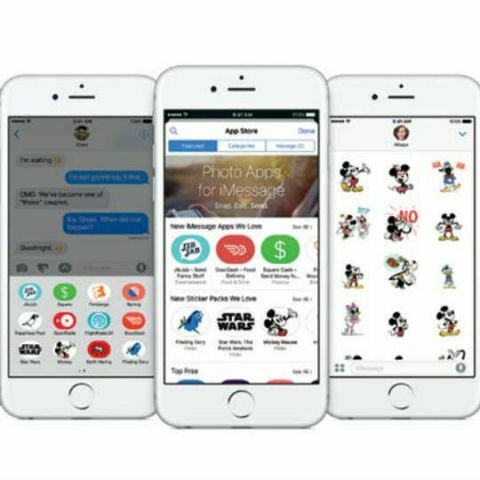 Here are the most noticeable upgrades that iOS 10 brings to Apple’s mobile devices. Kicking off with Apple’s mobile operating system at WWDC 2016, iOS is now 10 years old. To celebrate this, Craig Federighi, Apple’s Senior VP of Software Engineering, rolled off 10 new features for iOS 10, even calling it the biggest iOS release in history. 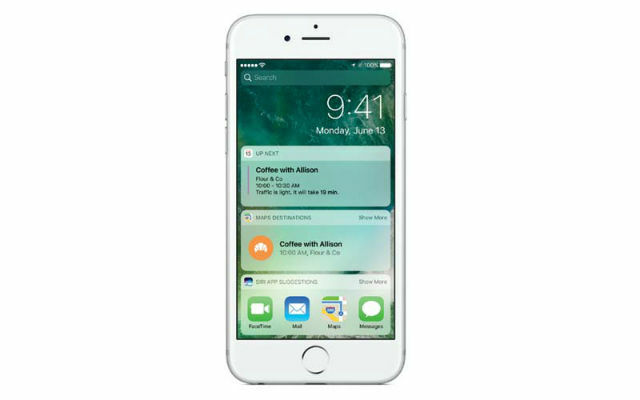 iOS 10 will see a redesigned lockscreen, with direct access to rich messages, 3D Touch integration, interactive live updates from third party apps like Uber and ESPN, and rich, elaborate widgets on the home screen. The upgrade may sound incremental, but is actually a useful integration into the system in terms of usability. The content-rich notifications panel and lockscreen add a richer layout to apps and services, giving more direct functionalities. Another major upgrade is Siri opening up to developers for third party integration. You can now hail a cab with Siri, send messages with other services than iMessage, and trace your fitness statistics with other apps than Apple’s own Activity app. Siri is also being integrated with Apple’s Quick Type keyboard, which itself gets functional improvements with deep learning algorithm. Quick Type can now smartly predict contact names, list a relevant email and suggest locations based on the message you receive. It can also deep read your text messages to suggest setting up a reminder, and even pre-fill the name, time and place of the event. Photos also gets a dash of AI in iOS 10, with image and object recognition search given the potential to swiftly organise your collection of photos. It can even create a slideshow of photographs picked by location, people or even mood, and complement them with a suitable backing track. It is not really ground-breaking, but is a first time for iOS. Apple’s also throwing similar integration and algorithm to Maps, but none of that is heading to India right away. While you can still make do with this, one point of iOS 10 that India will definitely miss is the revamped News app with subscription support (why was it not there before, again? ), breaking news headlines, a neater interface and a more complete suite of news flashes, making the app actually useful. This had to happen, and thankfully, it did. 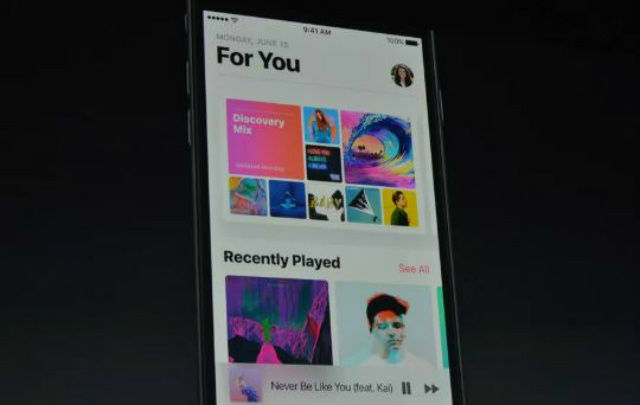 Apple Music’s cluttered interface will be replaced with a simpler, easily navigable one. You also get a more easily laid out Recently Added carousel, a debatably better discovery of music, and a Discover playlist that will show new music based on your tastes. You also get lyrics to certain songs (it is not clear if this will be a universal rollout), making the app more karaoke-friendly. It does not massively alter the game, but is surely a major bonus for 15 million paying subscribers of the service. Other updates include revamped contact card layouts, a voicemail transcription standard in the Phone app, richer text editing, integration with third party services for messages to give a Google Now on Tap-like outcome. You finally also get to uninstall apps that you have literally never used, like Stocks. You also get a neat little feature called Raise to Wake, which will light up the screen as soon as you pick your device. Out of all this, the major takeaway from iOS 10 is Apple opening up to third party developers and services, to keep users on its platform. Google has been integrating its OS with third party services for ages now, and Apple’s revisit of its policy shows its wary, careful steps. iOS 10 is now available for developers, and a public beta will be made available in July. The OS upgrade will be rolled out to all users with iPhone 5 and above, this fall.